The Reformation wasn’t only about theology. It was also, and perhaps most centrally, about doxology. It was about the right giving of glory, about worship. That was the central thesis of Carlos Eire’s 1986 book, War Against the Idols: the Reformation of Worship from Erasmus to Calvin. It’s essential reading for anyone who wants to understand what really drove the Reformation in the sixteenth century. At the heart of the Reformed drive to purify Christian worship was a principle. That principle was sola Scriptura — by the Bible alone. Our worship is to be governed only according to the Word of God. God alone has the prerogative to determine how we are to worship him and his prerogatives are expressed in the Scriptures. We believe that, although it is useful and good for those who govern the church to establish a certain order to maintain the body of the church, they must at all times watch that they do not deviate from what Christ, our only Master, has commanded. Therefore we reject all human inventions and laws introduced into the worship of God which bind and compel the conscience in any way. Or as the Heidelberg Catechism puts it in QA 96, “We are not to worship him [God] in any other manner than he has commanded in his Word.” That is the most succinct expression of the Reformed principle of worship. In more recent times, it’s been called the regulative principle of worship. It’s simply the application of sola Scriptura to worship. Naturally, there is a background to this in the pre-Reformation church. In the medieval church, things had been added and subtracted from Christian worship. This had been done on human authority, without any divine approbation from the Scriptures. When the Reformation arrived, people again became attuned to the Scriptures and they realized that the church’s worship had become idolatrous. Worship was in need of renewal according to the Bible. For that reason he has commanded all those who are his to be baptized with plain water into the name of the Father and of the Son and of the Holy Spirit (Mt. 28:19). Notice especially the mention of “plain water.” Those two words are pregnant with meaning. That was a long, complicated description, wasn’t it? And how much of it is commanded in Scripture? You can see why the Belgic Confession says so much with two words about baptism: “plain water.” That’s how Christ commanded baptism to be done, so that’s how we do baptism. It’s simple and biblical. With 500 years since the Reformation, is this Reformed principle of worship still relevant? Look around. You’ll see Protestant churches that add and take away from Christ’s commands for worship here, there, and everywhere. Sadly, there are churches where there is no biblical preaching to speak of. There are churches which neglect the sacraments. There are churches which substitute dramatic productions (on the stage or on the screen) for preaching. In some “Presbyterian” churches, they’ve at times added liturgical dancing. There have even been “Reformed” churches where they decided to preach on The Simpsons rather than the Word of God. It’s almost as if the Reformation never happened! For this reason, we need to learn again from the Reformation about worship. We need to go back to the faithful summary of Scripture in our Reformed confessions. When we do that, we will worship God only as he commands in his Word — no additions or subtractions. In its basic form, the regulative principle of worship states that we are only to worship God as he has commanded, not adding or taking away from Scripture. It was some years ago, while I was still in university, that I became convinced that this regulative principle of worship is the Reformed, confessional, position on worship. It was not difficult to see that the teaching of Heidelberg Catechism QA 96 (we are not to worship God “in any other manner than he has commanded in his Word”) is biblical and exactly in line with other Reformed confessions like the Westminster Standards. I also came to see that this Reformed principle of worship was not only in the Belgic Confession in article 32, but also in article 7. I wrote a paper on that, demonstrating that the regulative principle, according to our confession, is simply the liturgical outworking of Sola Scriptura. I have also argued that denying the regulative principle of worship has serious consequences and leads to bizarre liturgical innovations. There are many good things to say about this book. Chief among them would be the way in which the authors argue that biblical churches need to be focussed on the Saviour in every aspect of their existence. The authors have a high view of Scripture and that leads them to see rightly many aspects of the doctrine of the church. For example, they argue for the centrality of preaching and the necessity of biblical church discipline. As I was reading Creature of the Word, there were several times where I had to stop and share with my Facebook friends some of its excellent insights. And yet this book also highlighted for me some significant differences between confessionally Reformed churches and the New Calvinism. While there are many things we can appreciate about this movement, there are also points of departure. They call themselves Calvinists, and in terms of the doctrine of salvation they are. However, I’m quite confident that Calvin would not want his name associated with this book. Let me highlight the main problems under three headings. In the first chapter of the book, the authors make a distinction between Israel and the church. They write, “In Acts 2, the Word of God formed a people yet again” (14). Shortly thereafter, they write, “God spoke to Abraham and created Israel; and in the same way, God created the Church through the proclaimed gospel of the revealed Word, Jesus Christ” (15). In case there should be any doubt, consider this question they ask, “What makes the Church able to succeed where the Israelites so often failed?” (16). It is quite evident that the authors take an approach where Israel and the church are considered as separate entities. With this view, the Church only comes into existence in the New Testament era. This is a common view, influenced by dispensationalism, but it is not the Reformed view of the church. Conclusion: Christ the king has always had subjects. Those subjects are those whom he has gathered into his church. This view is not only found in Calvin and the Belgic Confession. It’s also in the Heidelberg Catechism. In answer 54, Reformed believers confess that “the Son of God, out of the whole human race, from the beginning of the world to its end, gathers, defends and preserves for himself, by his Spirit and Word, in the unity of the true faith, a church chosen to everlasting life.” The church begins in Genesis, not in Acts. This has always been the position of Reformed churches. The position of Chandler et al. actually has more in common with Anabaptism than historic Calvinism. The vast majority of the New Calvinists are Baptists. Even though they don’t use the word ‘Baptist’ in the name of their church, these New Calvinists adopt a Baptist perspective when it comes to the membership of the church. Creature of the Word reflects that same perspective. The membership of the church is made up of baptized believers only. The children of believers are not included. Now interestingly, Creature of the Word does have a chapter on ministry to children and there are many good things written there. The authors emphasize how “moral training” should not be the goal or modus operandi of church ministry to children. Instead, the focus needs to be on the gospel. That’s an excellent emphasis. However, it could be sharpened dramatically if the children are regarded as covenant children, members of the church. Then the children can be addressed on the basis of their already existing covenant relationship to God and urged to the way of life within that relationship. Certainly, it has always been the position of confessionally Reformed churches that all the children of believers are real members of the church. In answer 74 of the Heidelberg Catechism we confess, “Infants as well as adults belong to God’s covenant and congregation.” Calvin wrote in the Institutes (4.16.5), “But if the covenant still remains firm and steadfast, it applies no less today to the children of Christians than under the Old Testament it pertained to the infants of the Jews.” Though the New Calvinists might want to take the name of Calvin, Calvin himself would strongly disavow any effort to exclude children from the membership of the church. However, there is also something deeply ironic here. 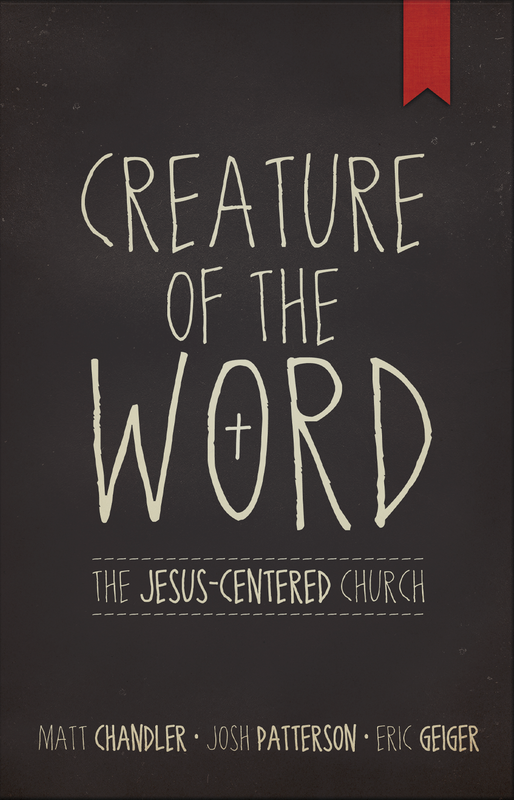 While the book is entitled Creature of the Word, there is nothing in this chapter about how or whether the Word directs our worship. Early in chapter two, the authors discuss the first commandment and the fact that we are commanded to worship God, but they entirely miss the second commandment, the one about how we are to worship God. This is more typical of broader American evangelicalism than it is of Calvinism, of the confessionally Reformed faith. Listen to what the Heidelberg Catechism says about how we are to worship in answer 96: “We are not to make an image of God in any way, nor to worship him in any other manner than he has commanded in his Word.” The Creature of the Word must abide by the Word alone in her worship! We call this the regulative principle of worship and it is a mainstay of Reformed liturgical teaching. It is sometimes mistakenly rooted in the teachings of John Knox and the Puritans. The reality is that Knox (from whom it passed to the Puritans) learned it in Geneva from Calvin. In article 17 of his Confession in Name of the Reformed Churches of France, Calvin wrote: “…if we would render a well regulated and acceptable sacrifice, we hold that it is not for us to invent what to us seems good, or to follow what may have been devised in the brains of other men, but to confine ourselves simply to the purity of Scripture.” This is foundational for a Reformed approach to worship. I liked many things about this book. It’s a fresh, helpful, and often biblical approach to the doctrine of the church. There are many things that a confessionally Reformed reader can appreciate and I wish I could recommend it wholesale. However, no one should think that this is fully representative of the biblical Reformed faith as handed down by the Reformation. There are some commonalities, but there are also significant differences and departures. While we can learn from some of the good emphases in Creature of the Word, we can also urge the authors to more carefully study the heritage of the Reformation and search the Scriptures with a Berean attitude to see whether Calvin and the Reformed confessions have perhaps been too easily dismissed on some of the important points mentioned above. 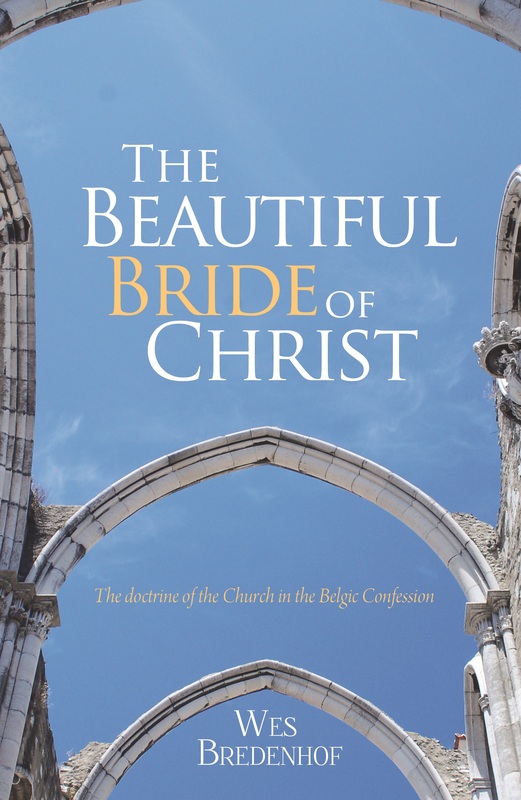 The following is from chapter 6 of The Beautiful Bride of Christ: The Doctrine of the Church in the Belgic Confession — you can order it here as a paperback and here as an e-book. All proceeds go to the John Calvin Institute, the seminary of the Reformed Churches of Brazil. The book has just been updated with a new cover designed by Márcio Santana Doria. Imagine a church where the Bible is seldom opened on Sundays. Imagine a church where there’s usually no sermon, and if there is, it’s not about the gospel, but about how to be better, or about how to do your part for salvation. Imagine a church where the congregation doesn’t sing together. Instead, if there is any singing at all, it’s done by one person or maybe by a group standing at the front of the church. Imagine a church where the order of worship in no way reflects the covenant relationship between God and his people. There’s no back and forth, no dialogue, there’s no evidence of God speaking and his people responding. Instead, it all tends to be a one way street. That was the story of most of the medieval church before the Reformation. Sadly, it’s still the case for many Protestant churches today. It’s almost as if the Reformation never happened. German theologian Dietrich Bonhoeffer once said that American Christianity is basically Protestantism without the Reformation. Looking at American churches in the 1930s, he could barely discern any evidence at all that these churches traced their lineage back to the churches of Luther and Calvin. This was true also with regard to worship. Let’s reflect for a moment on what the Reformation did. The Reformation was first and foremost a rediscovery of the gospel. The good news of Jesus Christ was recovered. Men began preaching that salvation comes through grace alone. They began preaching that we can only be saved from our sins through what Christ has done for us. We receive the benefits of Christ, not by doing good works, not by doing our part on this earth or in purgatory, but only through faith in Christ. Furthermore, as we put our trust in Christ alone, as we love this Good Shepherd, we, as his sheep, want to follow him alone. His Word becomes central and all important for our lives. We recognize his authority and we submit to it. He is our Lord, our master, and we will do what he says because we love him, want to thank him, and please him. Salvation by grace alone through faith alone in Christ alone necessarily leads us back to the doctrine of Scripture alone — sola Scriptura. Sola Scriptura gets applied to our individual lives as Christians. As individual believers, God’s Word holds the ultimate authority for everything we believe and do, for doctrine and ethics. However, this principle needs to be applied to the church as well. It was in the days of the Reformation. A big part of the Reformation involved reforming the worship of the church to bring it into line with what the Bible teaches. Sola Scriptura was applied to worship. The Bible alone could determine the way in which the church would worship God. This is the Reformed principle of worship, or the regulative principle as it’s sometimes been called. It’s found in Lord’s Day 35 of the Heidelberg Catechism. Part of what God requires in the second commandment is that we are not “to worship him in any other manner than he has commanded in his Word.” God alone can determine the manner of his worship. The connection with sola Scriptura becomes even more apparent in article 7 of the Belgic Confession. Article 7 is about the sufficiency of Scripture. The second sentence of that article says, “The whole manner of worship which God requires of us is written in it at length.” No one can add or take away from what God requires of us in worship. We aim to follow his Word only. Article 32 is in the same vein. We must not deviate from what Christ has commanded in his Word. As a consequence, we reject all human inventions and laws introduced into the worship of God which bind and compel our consciences in any way. Colossians 2 contrasts human commands and teachings with the way of living in Christ. In the days of the apostles, there were those who tried to introduce all kinds of extra regulations into the worship of God. Paul calls this “self-imposed worship” (NIV), or “self-made religion” (ESV); others have translated that as “will-worship.” You worship the way you want to. You follow your human commands and teachings, rather than following Christ’s Word. Such an approach to worship is condemned by Scripture. Repeatedly, Scripture rebukes those who would put man-made rules and laws either in the place of or in addition to what Scripture teaches. Think of how Jesus rebukes the Jewish religious leaders in Matthew 15. He quotes Isaiah, “They worship me in vain, their teachings are but rules taught by men.” It’s true that Jesus was not speaking directly about corporate worship in that passage. He was speaking about the making of all kinds of vows and all sorts of additional rules the Jews had devised for the life of an obedient Jew. Now if he would rebuke that, what makes you think that he would be pleased with all kinds of extra rules and regulations for corporate worship? The same can be said for what we read in Colossians 2. If will-worship or self-made religion is condemned for the everyday life of a believer, what do you think would be God’s position on what we do on Sunday as we gather in his holy presence? Dietrich Bonhoeffer, “Protestantism without the Reformation,” in No Rusty Swords: Letters, Lectures and Notes, 1928-1936, ed. Edwin H. Robertson, trans. Edwin H. Robertson and John Bowden (London: Collins, 1965), 92-118. Cited by Michael Horton, Christless Christianity, 237-238. For an excellent book-length study of this, see Carlos M. N. Eire, War Against the Idols: The Reformation of Worship from Erasmus to Calvin (Cambridge: Cambridge UP, 1986). Wes Bredenhof, The Whole Manner of Worship: the Sufficiency of Scripture and Worship in Article 7 of the Belgic Confession (Edmonton: Still Waters Revival Books, 1997). With the office bearers in Vera Cruz. So I arrived safely in Brazil on Saturday afternoon, as planned. The flight(s) down had some hiccups. A huge thunderstorm blew through Newark on Friday night and my flight for Sao Paulo ended up leaving two hours later. But there was still plenty of time to make my connection for the flight to Recife. One thing that impressed me during the flights over here is the size of Brazil. The flight from Sao Paulo to Recife took three hours. That’s about the distance from Hamilton to Saskatoon. Brazil is HUGE. Yesterday I had the opportunity to preach at a couple of the local Reformed congregations in the Recife area. In the morning I was at the congregation nearest the seminary, Vera Cruz. 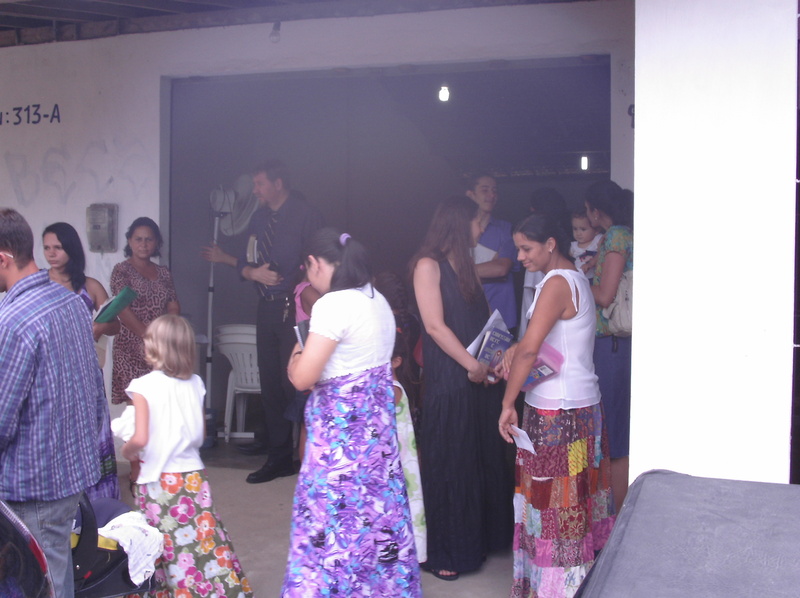 In the evening, we went across town to the congregation in Dois Unidos. Let me share my impressions of my experiences worshipping with the brothers and sisters here. As you can readily see, there’s nothing out of the ordinary here. Most of the singing involved psalms set to Genevan tunes (yes, Brazilians can sing Genevan tunes too – and very well! ), and there was no musical accompaniment. Missionary liturgics (ethnoliturgics) is another area which remains undeveloped in Reformed missiology. The Belgic Confession draws this to our attention by saying that “the whole manner of worship which God requires of us is written in it at length.” This is a brief statement of the regulative principle of worship which appears again later in the Confession (article 32) and also in the other Reformed confessions. The regulative principle states that we may not worship God in any other way than he has commanded in his Word – that means the Word is not only sufficient for our salvation, but also for our worship. In its maintenance of this principle, the Belgic Confession also speaks to the question of the shape and character of worship on the mission field. When the gospel comes into another culture and God gathers his people from that culture, what should their worship look like? Should it look like the worship of the missionaries? Or should it take on the pre-Christian worship of the receptor culture in any way, shape, or form? These are difficult questions to answer and the Belgic Confession provides an answer with its statement of the regulative principle. The Confession states that God’s Word lays out the “whole manner of worship.” Context is necessary for interpretation. In the Reformed churches, a classical distinction exists between the elements and circumstances of worship. Elements are the divinely ordained parts of the worship service such as preaching, prayer, and singing. Elements are supracultural and, in principle, should be the same from culture to culture. 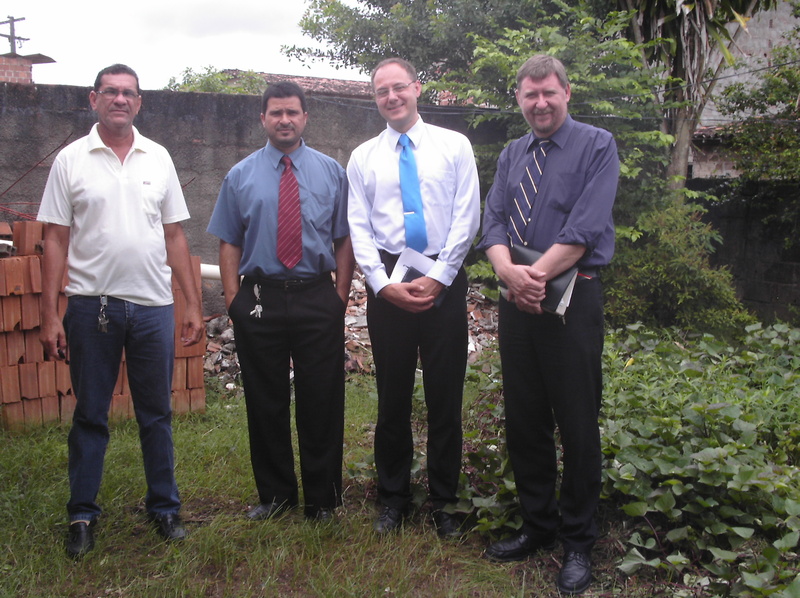 A Reformed church in Brazil should have the same elements as a Reformed church in the Congo or in Canada. Circumstances are culturally determined and can vary from church to church, even within a given culture. Circumstances include things such as the architecture of a building, the furniture within, the times of the worship services, the music used to accompany the singing and so on. Circumstances are determined with wisdom informed by Scripture, and there is considerable freedom in this area. Recognizing this distinction helps to answer many questions in missionary liturgics. Not only are the elements the same in Brazil as in Canada, but also the structure. Why? Because the covenant of grace is the same — it transcends cultures. Biblical worship is always about a covenantal dialogue between God and his people. If that dialogue is not there, it’s simply not biblical worship. The evening service at Dois Unidos was much the same as the morning service at Vera Cruz, except that it was along the lines of our afternoon service. I loved being able to worship with my Brazilian brothers and sisters. These are small congregations – I don’t think there were more than 30 people at either place. But they are holding out the gospel witness to the communities in which they’ve been placed by our Father’s providential hand. He is using them to draw more out of the darkness and into his light and it’s a beautiful thing to see. Socializing after worship in Vera Cruz.